The European Parliament has approved new EU rules to protect workers in the so-called “gig economy”. 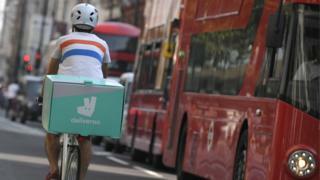 The law sets minimum rights and demands increased transparency for those in “on-demand” jobs, such as at Uber or Deliveroo. “All workers who have been in limbo will now be granted minimum rights thanks to this directive… from now on no employer will be able to abuse the flexibility in the labour market,” he said.